At Casper Fry we’ve crafted each detail with thought and care. Designing a restaurant, and a menu that is reflective of the classic foods of comfort, which invoke nostalgia, yet inspire us to reinvent. We’re taking a modern approach in recreating authentic Southern dishes, relying on the beautiful foods of our region. We feel strongly about reinvesting in our local economy, supporting our local farmers and ranchers, and contributing to a sustainable environment. We think it’s important to know the story about the food we eat. As a family with roots here, we’re excited to participate in the revitalization of the historic South Perry neighborhood. 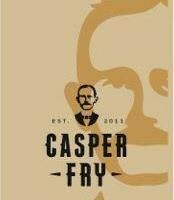 At Casper Fry we embody and embrace the vital strands of this essential fabric of our town, and we promise to always deliver non-complicated, farm inspired American true food.